A magical book about cats and kittens for young readers to treasure. A perfect book for any child interested in cats and kittens, this is a friendly introduction to the world of cat breeds and kitten behavior. Children will learn all about their favorite cat breeds, such as the Ragdoll or Persian, and how baby kittens learn through play. 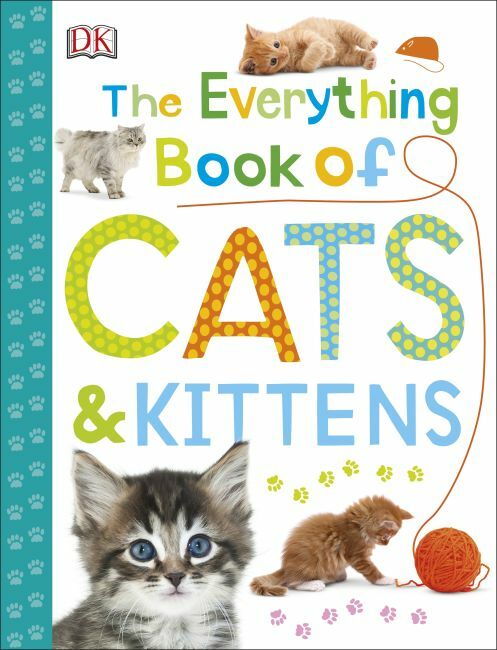 Colorful images, fun facts, and bite-size chunks of information make this a must for kids with a passion for cats. This new series of books for young readers looks at the topics six- to nine-year-olds love to love. From horses and ponies to dogs and puppies to cats and kittens, the subject matter covered in DK's new series will delight young obsessives and collectors everywhere. Text is accessible and engaging, and bold photography gives readers exactly what they want: crisp, clear images of their favorite animals and objects that they can pore over again and again. Each book is bursting with facts and figures kids will want to memorize and recite for friends and family, making this new series truly one to treasure.